only friends waiting to be met. 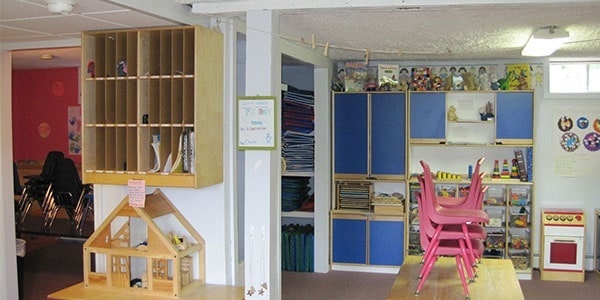 Little Friends Early Learning Center in Freeport, ME is an early learning center specializing in early childhood care and preschool education. Established in 1994, the center offers personalized care in a safe, clean environment. The curriculum is varied, age-appropriate, and coupled with lots of indoor and outdoor play times. 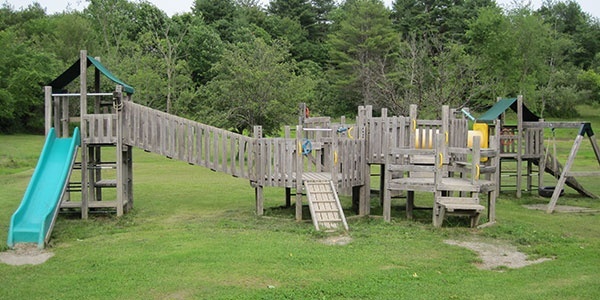 The playground features a wooden play system, clubhouse, and protected sand play area in a spacious and natural backyard setting. 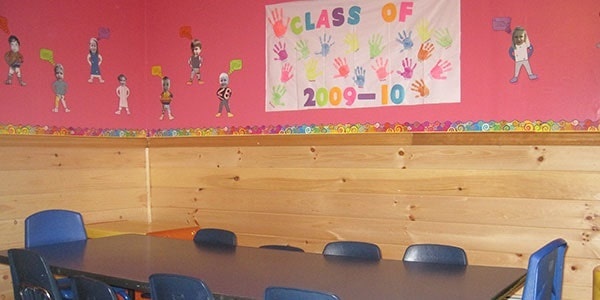 With 24 years of experience, our early learning center has demonstrated longevity with both staff and patrons. The staff is attentive and trained, and has excellent references. You are assured that your children will be safe, cared for, and having a great time while you are away for the day. For exceptional early childhood care and preschool education, turn to Little Friends Early Learning Center. Consult our staff to learn more about the curriculum and programs we offer. You may call our early learning center at the number we provided or send an email to our director at janelittlefriends@msn.com. 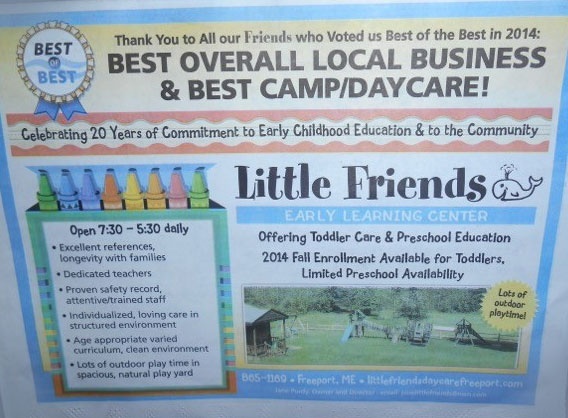 Little Friends Early Learning Center in Freeport, ME is prepared for any contingency and you should be too. Take a moment to read through the guide found in the link below. It outlines instructions for instances including bad weather, power outages, stranger danger, and more. We would love to give you a tour of the facility to let you decide if you and your child would be a good fit at our school. Call today and we can arrange a tour.